We love Carnegie Hill, it just feels like you’re away from it all! While living on this fast-paced island called Manhattan, Carnegie Hill retains its serenity, elegance and old-world charm. Bordering Central Park, between East 86th and East 96th streets and Fifth and Third Avenues, Carnegie Hill has long been popular for its many well-regarded private and public schools, shopping, dining and neighborhood feel. 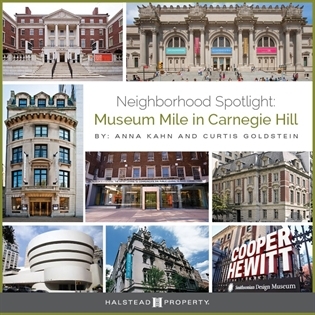 Carnegie Hill took its name from the steel magnate Andrew Carnegie, who in 1902 moved into an opulent Beaux Arts-meets-Georgian mansion on Fifth Avenue and 91st Street which today is home to our beloved Cooper-Hewitt National Design Museum. Carnegie’s arrival raised the neighborhood’s status, and more mansions and town houses followed. Surrounded by historic and architecturally renowned buildings, the neighborhood boasts both private residences and public institutions. Seeped in to rich history stemming from the late 19th century where churches and charitable institutions were ubiquitous —the New York Magdalen Asylum, at Fifth Avenue and 88th Street; the St. Luke’s Home at Madison Avenue and 89th Street; the Protestant Episcopal Church of the beloved Disciple, subsequently the Reformed Church of Harlem and since 1950, the Roman Catholic Church of St. Thomas More, on 89th Street between Madison and Park Avenues; the New York Christian Home on 86th Street between Madison and Park Avenues; and the Emmanuel German Evangelical Lutheran Church, which moved to the southwest corner of 88th Street and Lexington Avenue in 1885. We cherish the unique character of shopping in this neighborhood, including Corner Bookstore, a neighborhood staple on Madison Avenue, opening its doors in the 1970s – a real gem in an age of disappearing independent bookshops. Please come out to support and enjoy the Museum Mile Festival with us celebrating these Iconic Cultural Institutions exploring Art, Design, Architecture & History in Carnegie Hill. Come visit our website and see our new listing in Prime Park Avenue Carnegie Hill at 1120 Park Ave! 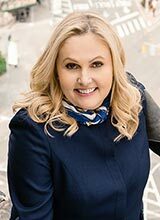 To connect with Anna, visit her agent website.